The Strokes were one of the first band I listened to that I still like as an adult, so they hold a very special place in my heart. Their debut Is This It? is one of the most listenable, cohesive albums I can think of. It's been five long years since they released their last album, First Impressions of Earth. A new record was due to come out last September, but indecision and disagreement on which tracks were to appear on their comeback album delayed the release date. Finally, a track has come out of the wood works - an appropriately named Under Cover of Darkness. It has the band's distinctively cruisey tempo, but the song just sounds tired. On releasing the band's fourth album, guitarist Nick Valensi was quoted saying, "Maybe everyone needed money or something. We gotta pay our mortgage so we may as well get this going again". Which is so not what fans across the world want to hear. 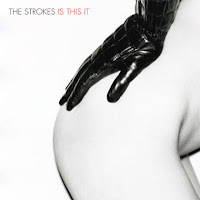 I really, really wanted to like the Strokes' comeback song, but I just don't.